This 2 bedroom 2 bath room home shows pride of owner ship! Split floor plan with large living room that opens to enclosed patio. Kitchen has plenty of cabinets and counter space. © Sedona Verde Valley Association of Realtors, Inc., 2019. Information deemed to be reliable but not guaranteed. The data relating to real estate for sale on this website comes in part from the Broker Reciprocity(sm) Program. 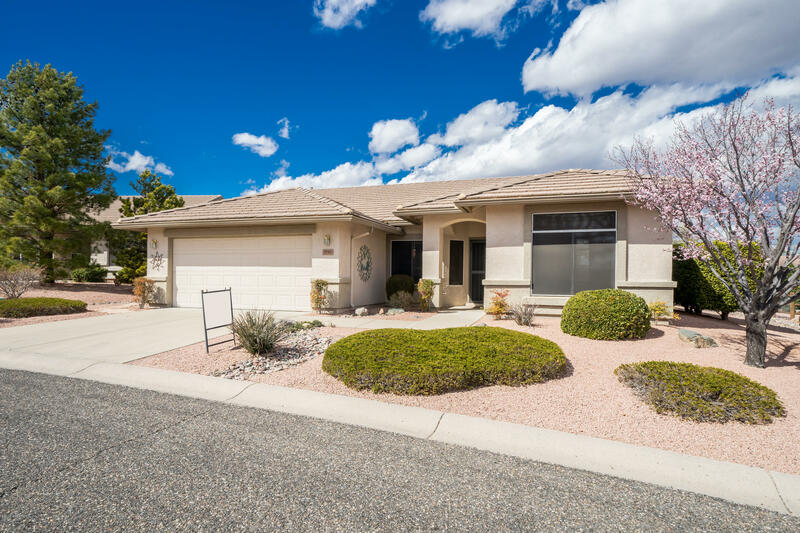 Real estate listings held by brokerage firms other than arizona adobe group realty are marked with the BR logo and detailed information about them includes the name of the listing brokers. Only residential real estate listings are shown from the IDX database. IDX information is provided exclusively for consumers' personal, non-commercial use and may not be used for any other purpose than to identify prospective properties consumers may be interested in purchasing. Information last updated on 2019-04-19.